The mission of the International ACAC Scholar Program is to support under-resourced, high-impact advising professionals facilitating students' access and transition to higher education. International ACAC promotes access to higher education opportunities for the neediest students around the world by supporting those who work directly with them. 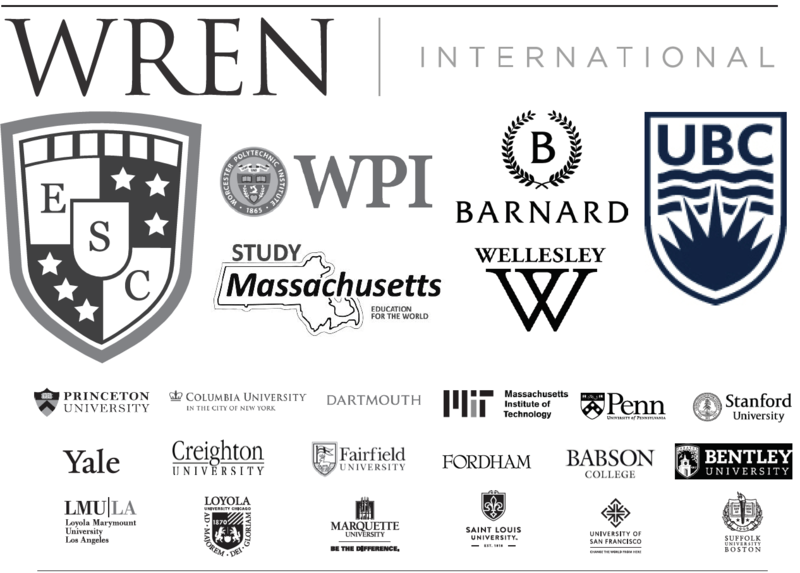 Since 2014, the International ACAC Scholar Program has supported 52 scholars from 37 different countries with the capacity to reach over 30,000 students.Scholarship recipients are funded to attend the annual International ACAC Pre-Conference Institute and Conference, as well as a higher education counselor bus tour following the Conference. *Pictured right is the 2018 Scholar Cohort at Tulane University. 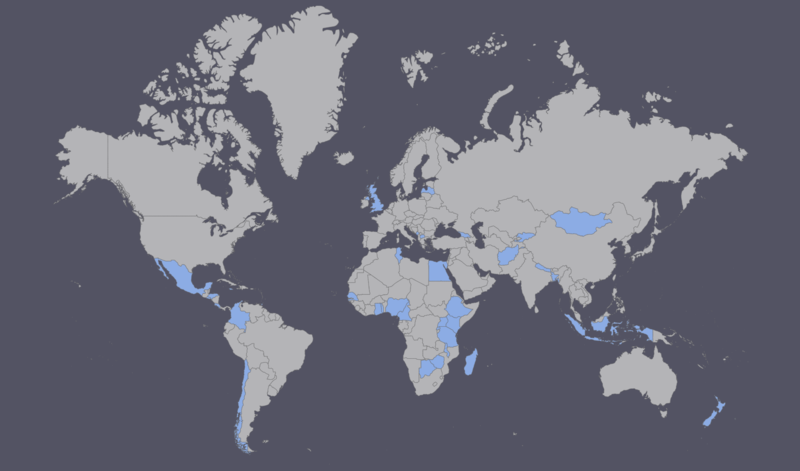 Over the past five years, your contributions supported counselors in the countries highlighted on the map below. Click on the links above the columns to read each year's scholar biographies. “When you empower a counselor, you’ve empowered a generation.” Watch the video to hear what former cohorts Samuel Birondwa and Moses Illunga have to say about the Scholar Program, and read about additional benefits in the testimonials below. The Scholar Mentor Program partners each Scholar with an International ACAC member to provide year-long support and professional mentorship. This program, which won a 2016 NACAC Rising Star Award, will allow Scholars to put into practice new knowledge, skills, and best practices for their students, communities, and regions. The 2019 Scholar Program Nomination Form is now closed! Thank you to all who nominated. The 2019 Scholar Program Application Form is now closed! Thank you to all who applied. We encourage and rely on International ACAC members to identify and nominate counseling colleagues who are high impact counselors working in schools (or with student populations) that do not have professional development funding to attend such an event. Each Fall, a call for nominations is sent to our membership. The application window also opens each Fall for the following year's Scholar Program. The selection panel is comprised of members of the Inclusion, Access, and Success Committee, and includes representation from admissions officers, counselors, board members, and EducationUSA. 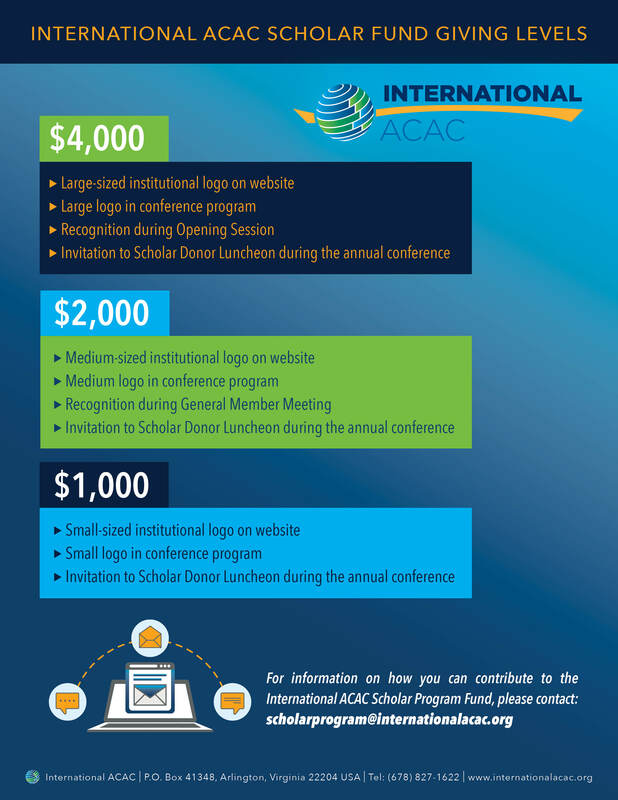 International ACAC members are encouraged to consider donating to the support the Scholar Program throughout the year. Direct contributions of any amount (from individuals, schools, or organizations) are greatly appreciated. Institutions may contribute at any level and are recognized in the ways described below. Thanks to the overwhelming generosity of individuals, campuses, and organizations, we are able to support a number of counselors from around the world and sustain this important program! We would like to thank the following donors for their contributions in support of the 2018 Scholar Program! For information on how you can support the International ACAC Scholar Program, please contact [email protected].